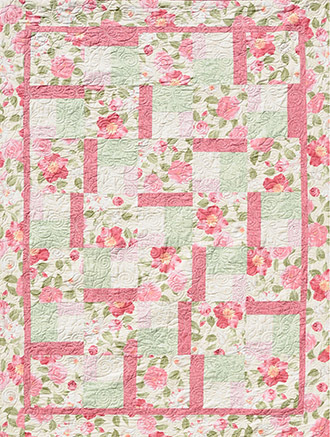 This lap quilt has a large floralprint for one block. The other block is made up of four co-ordinating fabrics. This block is sewn into each row by turning it a different position. How easy that is to do.